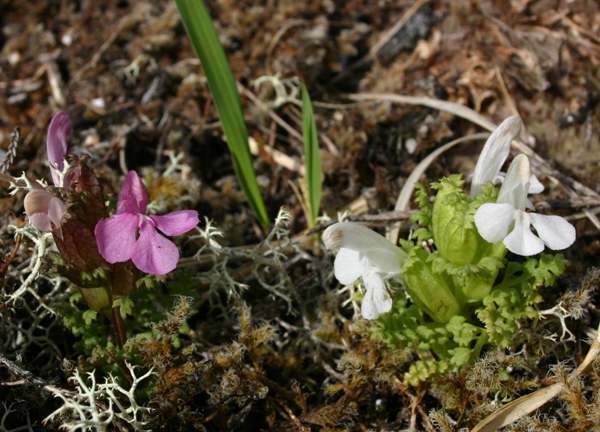 Marsh Lousewort is more common in the westerly parts of the UK and more generally widespread throughout Ireland. It was a member of the Figwort (Scrophulariaceae) family until recently but has now been moved into the Broomrape (Orobanchaceae) family. 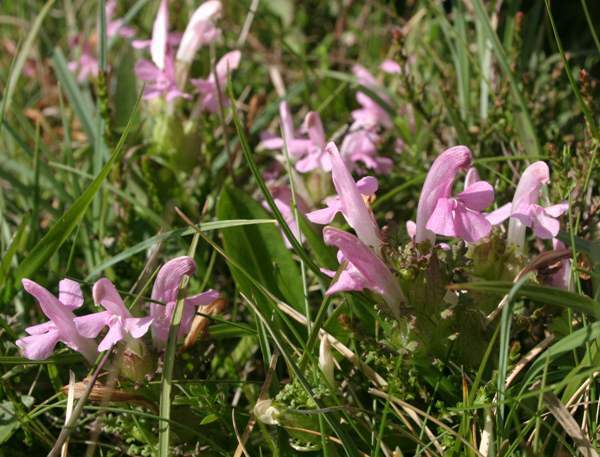 Growing to a maximum height of around 20cm Lousewort is a much shorter and more spreading plant than its relative Marsh Lousewort which grows to around 60cm in height. 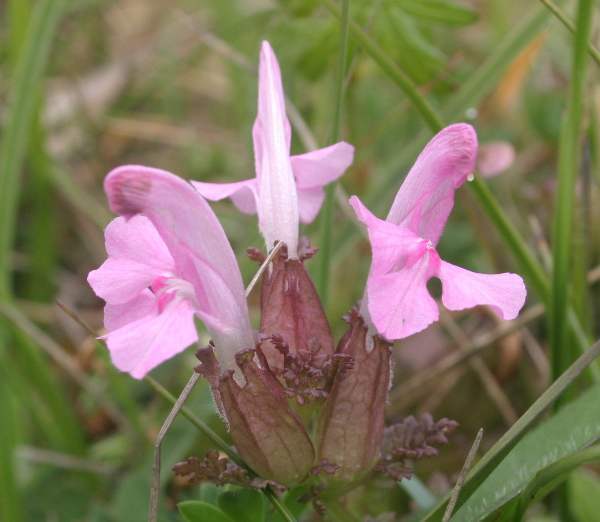 Lousewort grows in the damp acid soils of heaths, bogs and moors. It is semi-parasitic on the roots of other plants that grow in close proximity to it, and flowers from April to July. The specimens illustrated on this page were photographed in West Wales in June. They are usually pink, but as shown in the second picture, white forms can also occur.